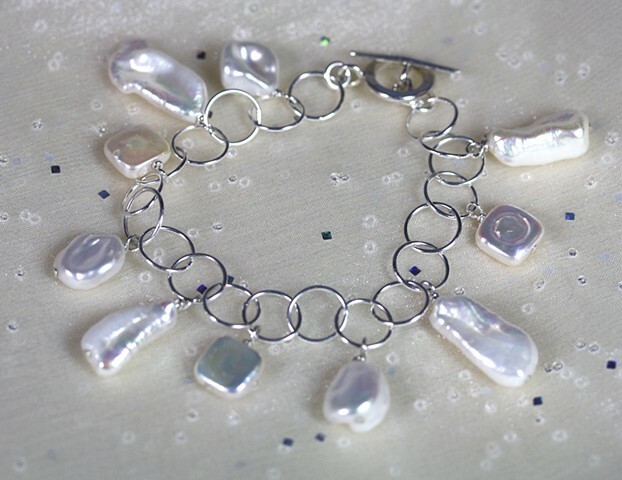 Sterling silver circle chain with beautiful fresh water pearls in various shapes. Fine silver toggle clasp. Approx. 7 3/4"